For this Thursday’s Power Networking Lunch, we have Germaine Ninete and Joe Garcia who both own businesses related to healthy lifestyle. 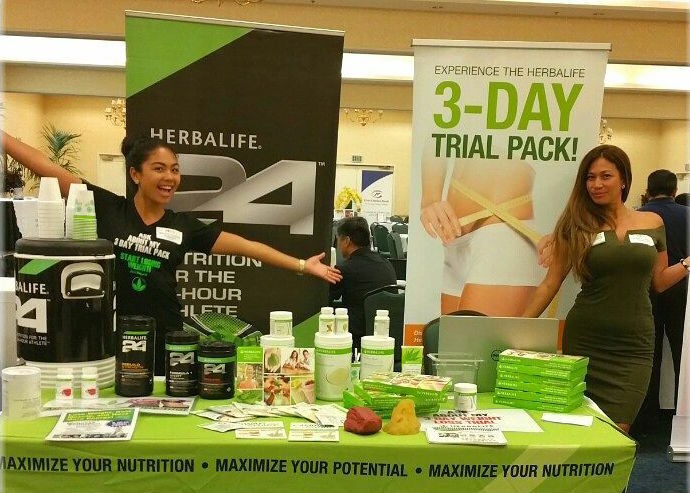 Germaine and Joe at the 2015 Green and Health Expo. In a sharp contrast to the more casual and larger networking events, FACCOC created the “Power Lunch” for business owners who are a bit more committed and serious about their connections and referral partners. Attendees will be given the opportunity for 30 second pitches at the beginning of each lunch and matchmaking requests following 2 featured presentations. Guests are always welcome. Joe Garcia thanks his friends and family in attendance of On Season Meals’ soft opening. 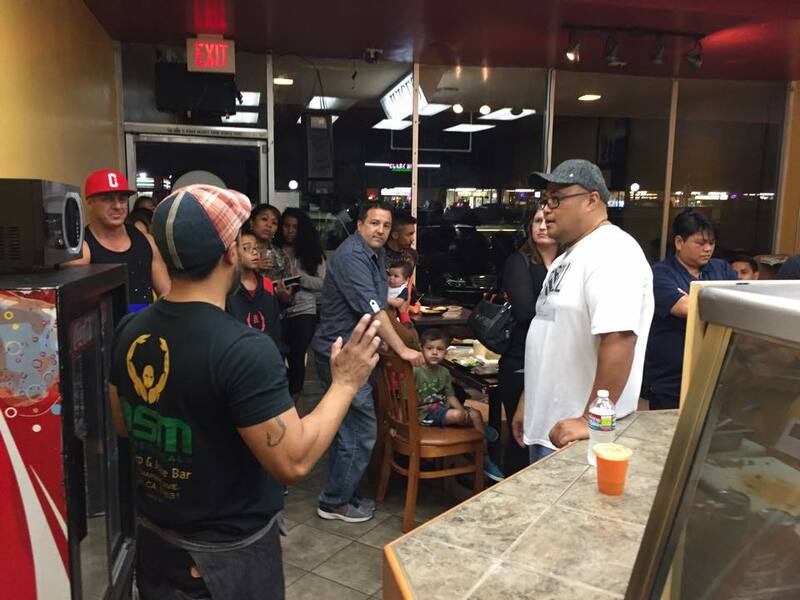 Joe Garcia recently opened “On Season Meals” Restaurant and Meal Prep in Fullerton near the City College. As a former bodybuilder, Joe addresses the foundation of any health goal: your eating habits. He stresses that a healthy lifestyle shouldn’t require “dieting” that most related to as a short-term plan. Instead, he focuses on having EVERY day as “On Season” — the term that bodybuilders refer to when they are getting ready to compete in a show. Germaine is a health and wellness coach who has a passion of helping those who want a fast transformation through diet and supplementation. Whether you’re someone just looking for a protein supplement or would like a comprehensive 3-day trial, Germaine has a plan for you. 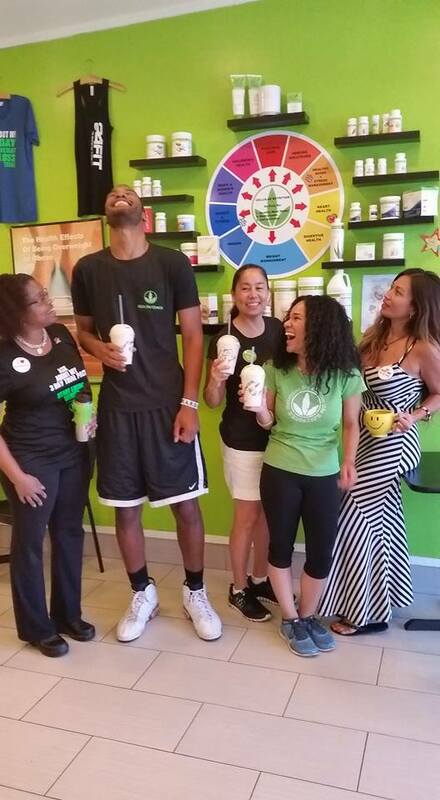 Many visit “The Healthy Habit” in Cerritos, where Germaine is a part owner in a shop with an upbeat and fun environment. Germaine’s booth at the 2015 Green and Health Expo. Germaine is co-owner of the “Healthy Habit” in Cerritos, a nutritional store that serves healthy shakes, aloe shots, and other nutritional offerings. Sign Up for Thursday….Join us for lunch and make new connections!